Abu Dhabi: The UAE has become the epitome of peace and tolerance where religious freedom and peaceful coexistence is at par, according to religious leaders in the emirates. They expressed their views following the decision of His Highness Shaikh Mohammad Bin Zayed Al Nahyan, Crown Prince of Abu Dhabi and Deputy Supreme Commander of the UAE Armed Forces, to construct the Abrahamic Family House on Saadiyat Island in Abu Dhabi. 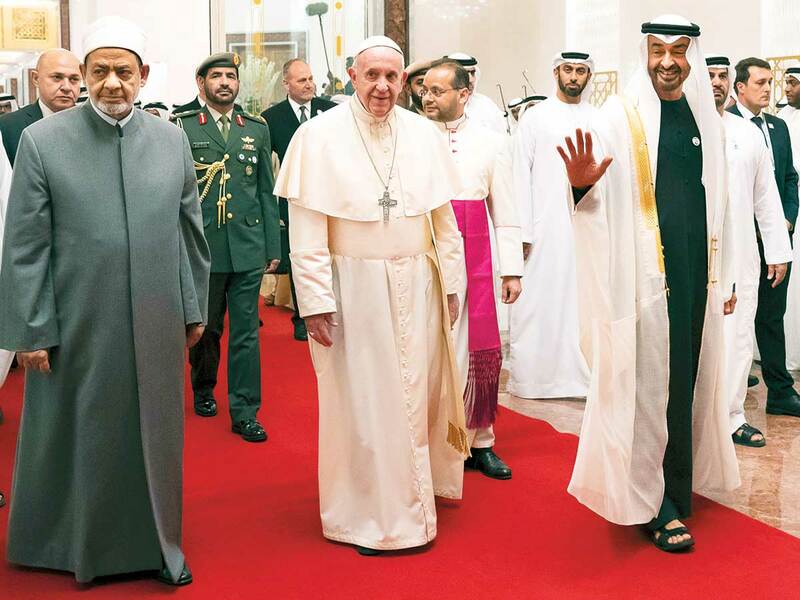 The Abrahamic Family House will be a museum to commemorate the historic visit of Pope Francis and Grand Imam of Al Azhar to the UAE and it will be dedicated to inter-faith harmony. The decision to construct an Abrahamic House in Abu Dhabi will send a strong message to the world about the UAE’s tolerant culture, coexistence and religious freedom for all faiths. Officials did not reveal where exactly the project will be built or disclose any of the collections of antiquities it will house. “The new landmark will symbolise the state of coexistence and human fraternity experienced by people from various ethnicities, nationalities and beliefs in the UAE,” a statement said. mentions on social media during the two historic events that took place in UAE (Jan 30 — Feb 5). He said the decision was worthy of praise and the day the two religious heads visited would be remembered for decades to come. The Abrahamic House will keep reminding future generations of the historical moment when two great religious leaders visited UAE. The Abrahamic House building project is a cultural and civilisational project, and any decision to construct such cultural and religious monuments or shrines send wide signals to the world about the positive vibes about the country, he said. Shaikh Al Qubaisi added that the UAE promotes safe and peaceful coexistence for those living in the emirates, and such decisions further enhance the country’s stand on tolerance and peaceful living. Prophet Abraham is a revered prophet in Islam, Judaism and Christianity. The unique religious landmark symbolises the state of peaceful coexistence and human fraternity experienced by all communities living in the UAE, regardless of their nationalities, beliefs and religions. Though we were not able to make it to Abu Dhabi this time round, we know the pope’s blessings are with us. The visionary leaders’ decision also gives a message of kindness, love and peace to the world, and it signals the world about the tolerant culture of the UAE, he said, adding that the building would also have a positive impact on society. Inspired by the historic document, Shaikh Mohammad issued instructions to allocate a plot of land for the construction of the Abrahamic Family House, a move that reflects the peaceful coexistence of different communities in the UAE.